December 16, 2016|Posted in: Holidays and Seasons, Let's Eat! 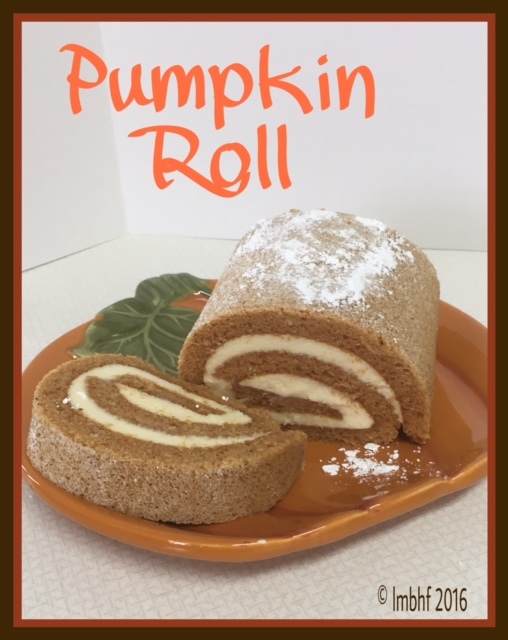 This Holiday Pumpkin Roll is a yummy treat that makes a perfect addition to all your festivities! Grease 15 x 10” jelly-roll pan and line it wax paper. Grease and flour the wax paper. In a small bowl, mix together flour, baking powder, baking soda, cinnamon, cloves and salt. In a separate bowl combine eggs and granulated sugar and mix well. Spread prepared cake batter evenly onto the pan. Bake for 13 – 15 minutes or until cake springs back when lightly touched. While your cake is baking, sprinkle a thin, cotton dish towel with powdered sugar. When cake is done, immediately loosen it from the pan and turn it onto the towel. Carefully remove the wax paper and then roll the cake and towel together and cool on a wire rack. Mix together powdered sugar, butter, and vanilla until well blended. Carefully unroll the cake and spread the filling over it. Reroll the cake, wrap in plastic wrap and refrigerate for one hour. Sprinkle top with powdered sugar, slice, serve and enjoy! I think making pumpkin roll is becoming a lost art form. I don’t make this great treat enough but when I do it doesn’t last long. Thanks for linking up with Blogging Grandmothers. YUM! 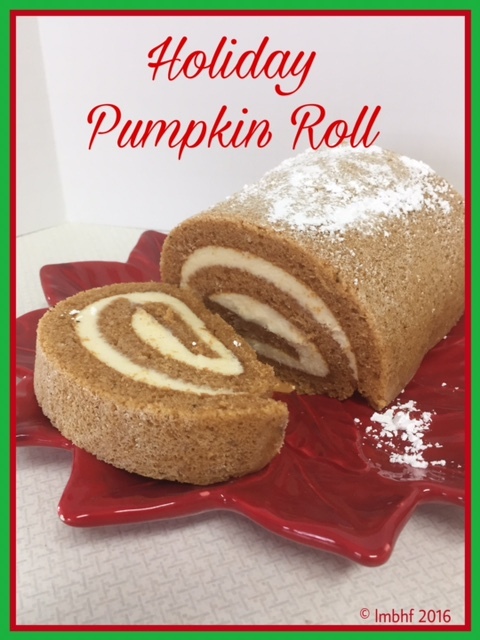 Looks and sounds tasty 🙂 Thank you for partying with us at Blogging Grandmothers Christmas Link Party. We’ve shared your post on Pinterest, Facebook, and Twitter. What a great recipe. thank you for sharing with the #blogginggrandmothers. « Which One is Your Favorite Christmas Movie?